Sadly just one barrel was made of this Latricières but it is, once again, a lovely wine. 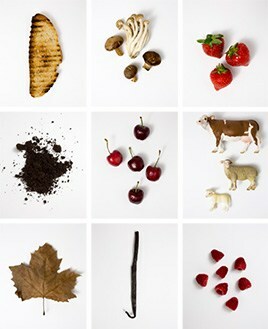 Raspberries and crushed strawberries dominate the senses; it is very sensual from start to finish, and very long. Extremely limited availability. 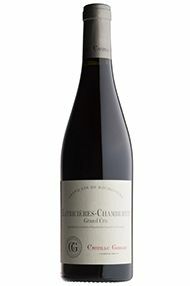 Jasper Morris MW, Berrys' Burgundy Director These are brilliant wines once again from David Croix and his team at Camille Giroud and fortunately they were able to make a little more wine this year than last. Alhough the white selection is small, the wines are just as fine as the reds. David has made some inspirational wines from less fancied appellations such as Maranges and Santenay, as well as majoring on the Grands Crus of Corton and the Chambertins. 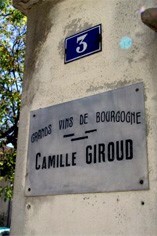 Almost all of the wines are from purchased grapes, but somehow Camille Giroud feels to us much more like a domaine.